These cases can be custom fitted for most any phone or similar device you carry. And initials can be added in almost any color. They are hand stitched with wax coated heavy duty nylon thread for many years of use. 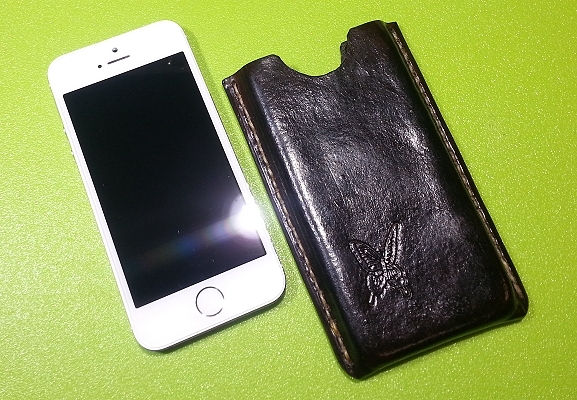 This is a basic "no frills" case that can be made to fit any brand or model cell phone or similar device. It will protect the phone from breakage (most of the time) while keeping the overall profile compact and easy to carry in a back pocket. 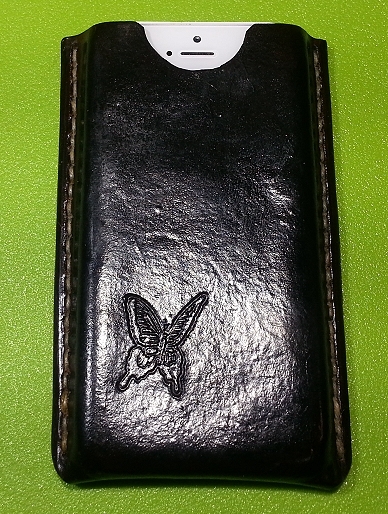 You can have your initials or anything else you might like embossed on the front and/or the back. It can also be made with a belt loop to enable you to carry it on your belt if you prefer. And it can be dyed in almost any color you like. These can be made in any thickness you prefer, depending on whether you want a compact profile or maximum protection from bumps and drops. I will not need to have your phone, but I will need to measure it carefully if you want to use another case to fit inside this sheath.